From then on, ‘Zeppelin' became synonymous with terror to the British, and indeed the airship's effectiveness was more psychological than material. 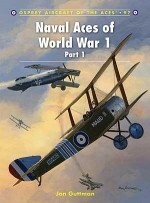 Still, their raids compelled the Royal Flying Corps and Royal Naval Air Service to embark on a program of modernising their aerial defences, accelerating a process that would ultimately make the aeroplane, rather than the airship, the paramount flying machine of the war. 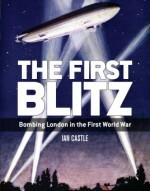 Using specially commissioned artwork, contemporary photographs and first-hand accounts, this book tells the fascinating story of Britain's first Blitz, from the airships who terrorised the public to the men who sought to defend the skies. A resident of Leesburg, Virginia, Jon Guttman is research director and contributing writer for Weider History Publications. 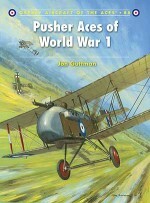 Specialising in World War 1 aviation, he has written 19 titles for Osprey in the past, including many on World War I topics, such as: SPAD VII Aces of World War 1 and Balloon-Busting Aces of World War 1 in the Osprey Aircraft of the Aces series; SPA124 Lafayette Escadrille, Groupe de Combat 12, ‘Les Cigognes' and USAS 1st Pursuit Group in the Aviation Elite Units series; Sopwith Camel vs Fokker Dr I, SPAD XIII vs Fokker D VII, SE 5A vs Albatros D V and SPAD VII vs Albatros D III in the Duel series; and Sopwith Camel in the Air Vanguard series. Jim Laurier is a native of New England, growing up in New Hampshire and Massachusetts. He has been drawing since he could hold a pencil and throughout his life he has worked in many mediums creating artwork on a variety of subjects. 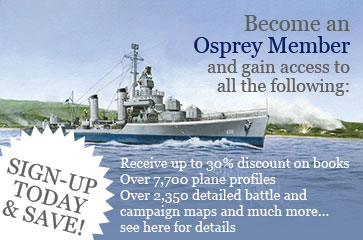 He has worked on the Osprey Aviation list since 2000, and in that time he has produced some of the finest artwork seen in these volumes.